You’ve probably seen it on TV and thought, ‘Well, that looks fun, but it isn’t for us. Were too small.’ I know why you would think that. You see the Border Collies running, jumping and weaving through poles at lightning speed. But being a proud Shih Tzu owner I can tell you that Shih Tzus and any small dog can do anything, even agility! So what is agility? 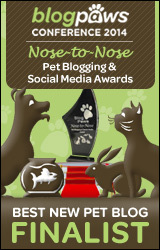 Did you know that agility is one of the fastest growing dog sports in the USA? Yup, but originally started in England in the 70’s. In 1978 during one of the most prestigious dog shows, Crufts, the show committee thought it would be great to entertain the audience between the end of the Obedience Championship and before the Conformation Groups began. They asked two gentlemen, Peter Meanwell and John Varley to come up with something the audience would enjoy. With that they came up with the idea of dog agility based on various equestrian events. People went crazy for what they saw and within 1 1/2 year the kennel club drew up rules and regulations for a new dog sport. Agility is comprised of various obstacles in which the dog must maneuver such as a climbing 6′ A-Frame, navigating a narrow bridge called a Dog Walk, zipping through Tunnels, weaving through a line of up right poles known as Weaves, and flying over various Jumps at lightning speed. All while racing the clock for the fastest time with the least faults. But in actuality, agility to me is a time for my dog and I to bond, to discover one another, and to become and stay healthy together. 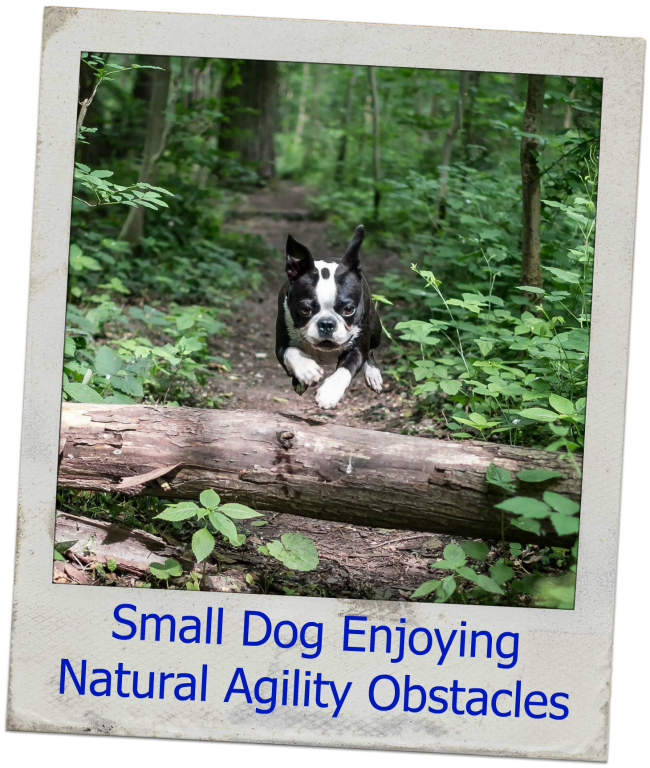 Agility is a great way to exercise for your dog. Exercise is beneficial because it can reduce the risk of heart disease, obesity. In addition, dogs that exercise also experience less depression and tend to live longer than dogs that do not. In addition exercise is great at reducing stress. Hey notice something here? All the benefits that our dogs experience are the same benefits that we will experience when we participate with them! Agility is a team sport between you and your dog. Because an agility course if filled with jumps and obstacles your dog relies on your to help navigate the course. With verbal and physical cues, the bond is strengthened through the constant communication either overtly or subtle between the two of you. Agility courses are designed to imitate obstacles in the wild as if they were chasing prey. From going through fox holes (tunnels), jumping over logs (jumps), and climbing up and over hills and slopes (a-frame). And just as in life, the rewards are greater the faster you can run without getting tripped up by the obstacles, either a qualifying score, or a yummy meal! By improving your dogs confidence they will become happier and more outgoing. If you have a timid dog, and they are afraid of little things, with the proper agility training they can come out of their little funk. So what are you waiting for? Get out there and hit the agility field with your little one! So glad you are feeling better and will be back at agility! We love the sport! When I started competing about 10 years ago I had the only agility Havanese in our area and now there are lots of us! I love seeing the small pups having fun and competing! Diane @ To Dog With Love recently posted…FitDog Puppy Playtime! We love your agility post! Interestingly, we’ve been looking into Cat Agility lately as a means of getting the boys fitter and trimming their waistlines. Of course, we’ll just be setting up a course down the hallway…. You are such an inspiration! Rooney and I hope to do this one day! I’ve always loved watching dogs do agility! The weave pole amazes me! I don’t think I’m coordinated enough to ever be a good handler! I took an agility course with Leo (not for competing purposes, but I wanted to strengthen our bond together w/o Harley. I wanted him and I to become closer – just the two of us. We really really had a blast taking the classes. I love watching the smaller dogs do agility. It’s so great that they’re being included more and more and it’s becoming normal to see dogs other than Border Collies excel at it. My favorite local agility dog is a Papillion named Gus – he’s the most amazing little guy I’ve ever seen on the course. My dog’s half brother does agility and he is a champ. I love watching and have actually covered the agility at Westminster. Great coverage here! Agility is such a cool sport! It is fun to watch. I’m glad that cats are starting to get in on the action too. Pets have such amazing potential. Kilo loved doing agility, it’s not just for big dogs that’s for sure. Love the natural agility photo. I would never have the time or patience for agility training, but it does look like a lot of fun! 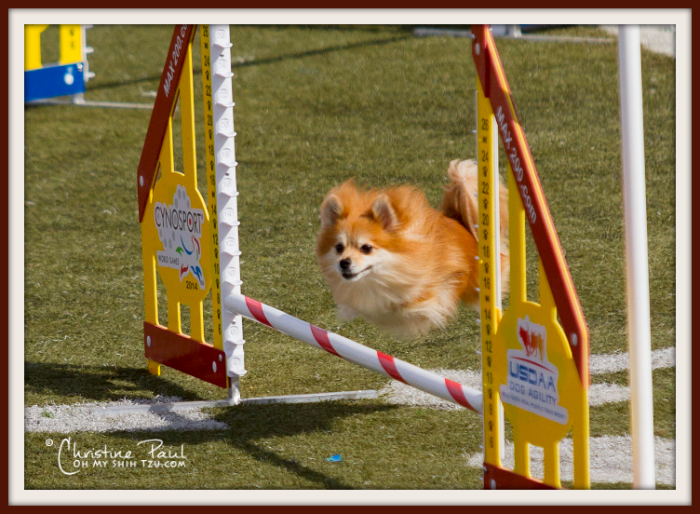 Earl is a small dog, and we live and love agility – competing, and training, we adore the sport. You see MANY small dogs in the ring! Glad you helped share the message! Earl Lover recently posted…Our Time @ Crufts 2015!!! Agility looks like a lot of fun for dogs and humans! Its great to see small dogs enjoying it! That looks like fun! I don’t think Chuy would be amused though lol. You’re right, sometimes people only think of medium-sized dogs like Border Collies participating in dog sports like agility, but it’s healthy and fun for small dogs too. I love the Boston Terrier picture jumping over the log! We do want to play around with agility once we can get set up for that. I don’t think I want to do competitions, though, I feel that the pressure would take much of the fun out of it. Super awesome!!! I want to try this – momma said we’re gonna set up a little baby course to train on in our back yard. Thanks for the motivation!! You B a rock star! Great post! We love watching agility and have done it once or twice. So much fun for all of us!